Scientists have created a new kind of ceramic coating that could make flying at hypersonic speed feasible. 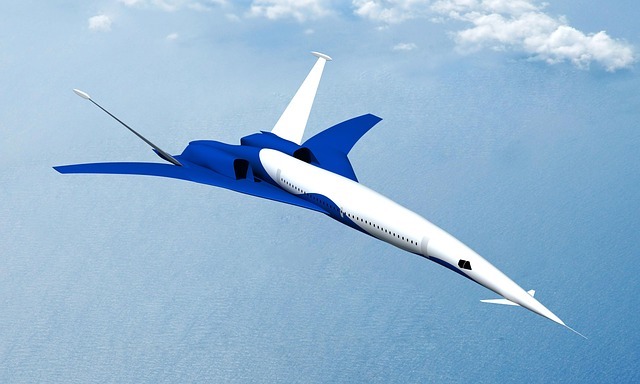 Going hypersonic means traveling at Mach 5 speed or higher. Mach refers to an aircraft’s speed relative to the speed of sound; Mach 5 means traveling 5 times faster than the speed of sound. As much as we would like to, there are a number of reasons we can’t go hypersonic yet, whether it’s for commercial travel or space travel purposes. The primary reason is heat, or more specifically, too much of it. Basically, when you travel at Mach 5 (3,800 mph, 6,125 km/h) or higher, the extremely high temperature (up to 3,000 degrees Celsius or 5,400 degrees Fahrenheit) will slowly eat away at the coating of the aircraft. Well, one can only imagine the damage an aircraft can sustain if it maintains those kind of speeds. To solve this seemingly unsolvable problem, a team of researchers from U.K.’s University of Manchester and China’s Central South University have fabricated a carbide-based coating material that is less susceptible to the degrading effects of ultra-high temperatures, making it more resilient and long-lasting. The material belongs to a new class of ultra-high temperature ceramics (UHTCs) and can be regarded as an improved version because it is supposedly 12 times better than existing UHTCs. What differentiates this carbide coating from other UHTCs is the use of a technique called reactive melt infiltration (RMI) to manufacture it. RMI involves insertion of different elements such as boron, titanium and zirconium into a carbon matrix composite. Typically, when ceramic is exposed to high temperatures, its protective elements — the surface layers of the aircraft’s metal frame — are stripped off through oxidation and ablation, leaving the remaining ceramic weak and susceptible to damage. By using RMI, the ceramic produced is much tougher and extremely resistant to the degradation effects caused by temperatures at hypersonic speeds. This means it is more resistant to heat and oxidation, and can theoretically withstand the rigors of hypersonic travel. As an added bonus, RMI makes the ceramic faster to produce too. Once this new technology is applied, we’ll be a step closer to making hypersonic travel possible, and that means faster travel all around — not just from country to country, or continent to continent. It also has the potential to expedite interplanetary or interstellar travel. Not so fast. Having a commercoal aircraft flyong every day for 20 years means the coating has to be very resistant to Mach 5+ speeds. Having done it in a lab for a limited testing is like bragging about its own superiority.